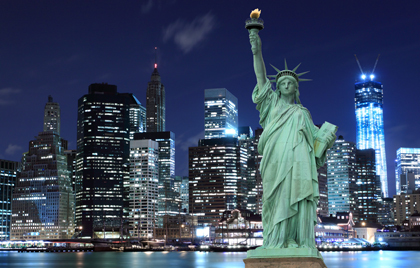 The City of New York has passed Int 0261-2014, which limits the use of credit reports for all employers. The bill goes into effect 120 days from enactment, on April 16th, 2015. 24. Employment; consumer credit reports. (a) Except as provided in this subdivision, it shall be an unlawful discriminatory practice for an employer, labor organization, employment agency, or agent thereof to request or to use for employment purposes the consumer credit reports of an applicant for employment or employee, or otherwise discriminate against an applicant or employee with regard to hiring, compensation, or the terms, conditions or privileges of employment based on the consumer credit report of the applicant or employee. (B) in a position that is subject to a background investigation by the department of investigation, provided, however, that the appointing agency may not use consumer credit reports for employment purposes unless the position is an appointed position in which a high degree of public trust, as defined by the commission in rules, has been reposed. (F) in a position: (i) having signatory authority over third-party funds or assets valued at $10,000 or more; or (ii) that involves a fiduciary responsibility to the employer with the authority to enter financial agreements valued at $10,000 or more on behalf of the employer. This law will require a review of the hiring process in place, including the waiver that all applicants must complete, and may require changes to that process.